FIFA fans from around the world have voted over 1 million times for their favourite leagues to be featured in coming EA Sports FIFA 19. 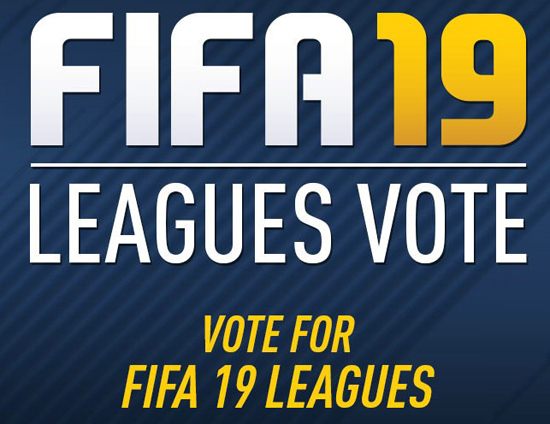 The voting poll features 104 domestic leagues including two Women's leagues which have not been featured in the current FIFA franchise, FIFA 18. The vote is running since September 2017 at FIFPlay.com and is trying to encourage EA Sports for getting the license to include the most wanted football leagues in the game that were not featured in the previous versions of FIFA. FIFPlay is a football gaming community website, which stands between football gamers and football video-game developers, and endeavors to deliver the best ideas for the football computer-game from the fans to the developers. At FIFPlay you can give your feedback, ideas and suggestions for the famous football video-games such as FIFA franchise, Pro Evolution Soccer (PES) and Football Referee.